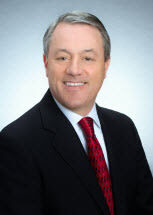 MoreRobert G. Goldsmith has been a licensed California attorney for over 18 years and has limited his practice to the counties of Orange, Los Angeles, Riverside and San Bernardino. His entire practice is devoted to resolution of family law issues such as: dissolution of marriage, legal separation, child custody and visitation, child support, spousal support, property division, post judgment modifications, paternity and domestic violence. Although all of our clients will interact with our caring and...Robert G. Goldsmith has been a licensed California attorney for over 18 years and has limited his practice to the counties of Orange, Los Angeles, Riverside and San Bernardino. His entire practice is devoted to resolution of family law issues such as: dissolution of marriage, legal separation, child custody and visitation, child support, spousal support, property division, post judgment modifications, paternity and domestic violence. Although all of our clients will interact with our caring and professional support staff, Mr. Goldsmith will personally provide the individualized attention and representation that each client needs and deserves.